I had some requests to show pictures from the Ferry Ride from North Sydney to Argentia. I thought I had taken lots of photos, but looking at them now, I’m not sure they are the best photos to describe the trip. I think when we were finally on the ferry, we are all too excited to focus! As soon as we boarded I could see that both kids were getting pumped and feeling like NFLD was SO CLOSE! 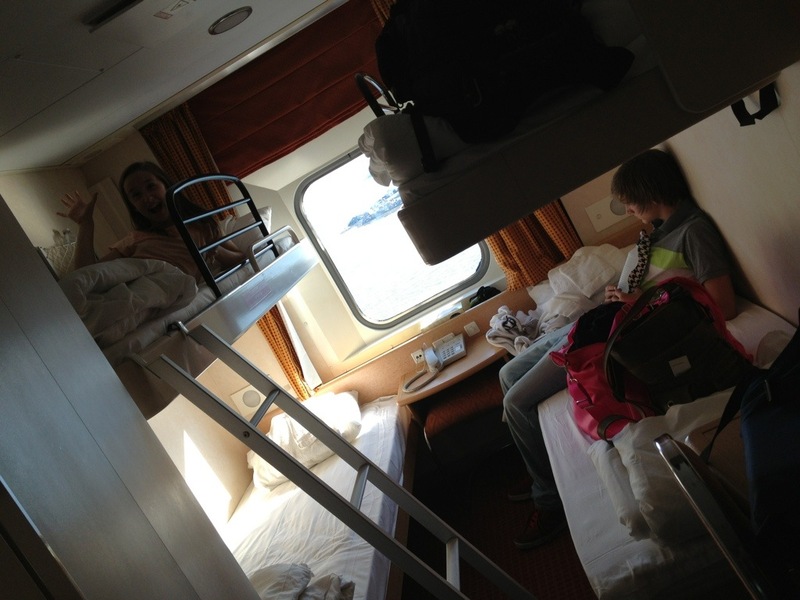 When we boarded the Ferry we checked out our cabin right away. It was a tight squeeze when all four of us where moving around, but perfect for a one night stay. Plus there was a bathroom with a shower, so we were happy campers. You’ll notice that the photos in this post are different sizes. It’s because I am using photos from the Canon, and two different iphones. I’m sure there is an easy way to resize them all, but I am running out of time for that today and wanted to post my update (that’s my excuse anyway). 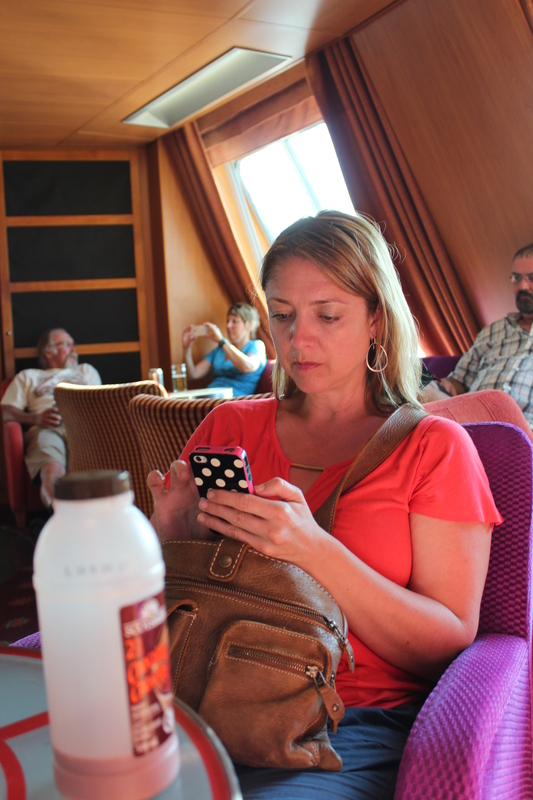 The photo below is of me doing my quick blog post in the lounge before the ferry left the port and I lost my cell service. It turns out there was WiFi on the boat, but I didn’t figure that out until the next day. Probably okay I didn’t know sooner. 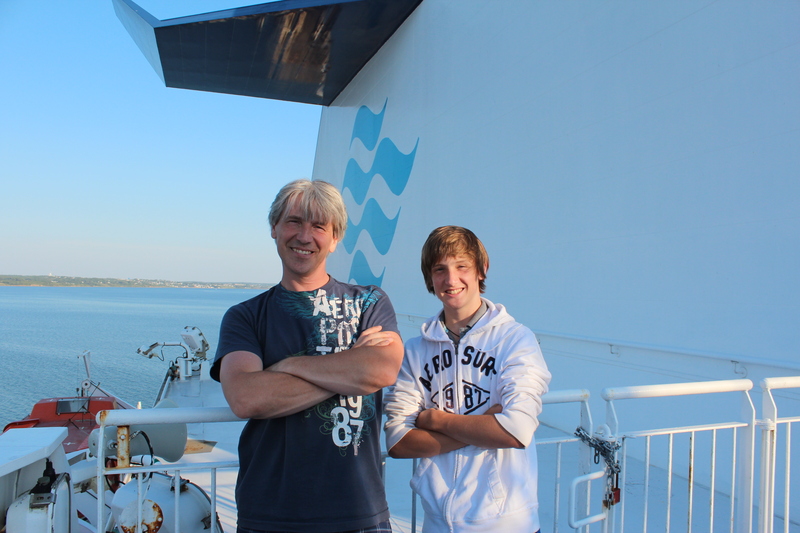 Do you know that Royal Caribbean commercial that talks about seeing the elusive smile from the family teenager? Although Marine Atlantic is definitely not Royal Caribbean, it was exciting enough that I was able to capture this one in the photo below. One of the highlights of the ferry ride was getting to see DS play guitar in the lounge. The guy that was playing was taking a break and let him sing and play two songs. And me (who ALWAYS has my phone) didn’t have it with me this time to capture the photo, but you’ll have to take my word for it that it happened. BTW: Doesn’t my honey look handsome! The crossing couldn’t have been calmer – you’d hardly know you were on a boat. 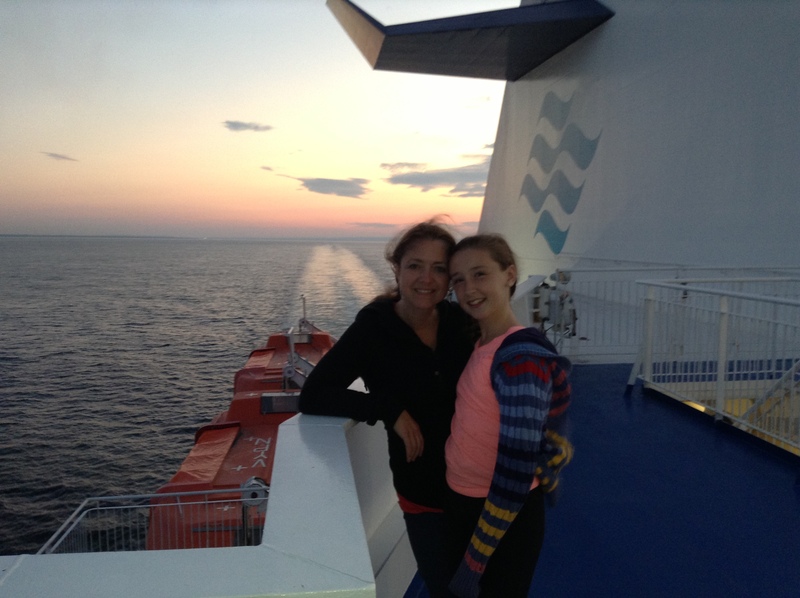 I love that we took the ferry to Argentia instead of Port Aux Basques to avoid that 12 hour drive across the island. 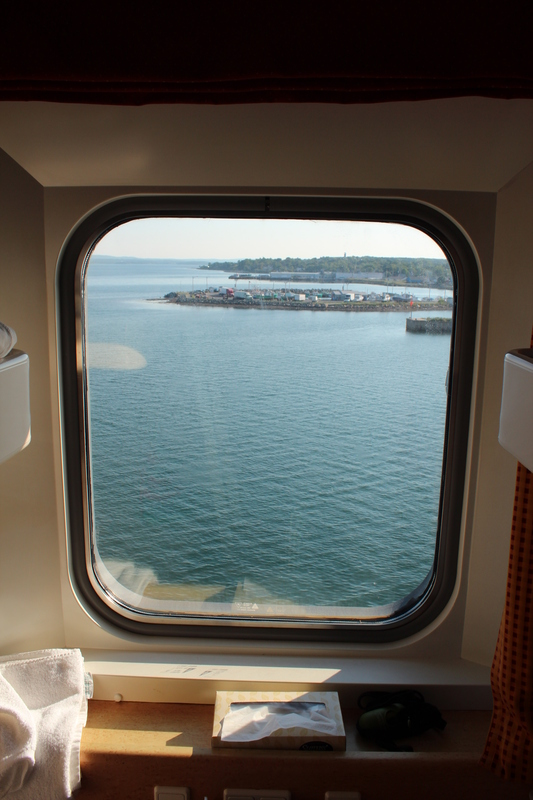 Thanks to Marine Atlantic and The Atlantic Vision for a safe and uneventful ferry ride.